MAE SOT, Thailand — When entering the landfill on the outskirts of Mae Sot on Thailand’s border with Burma, flies buzz chaotically around the waste, which ranges from metal devices to worn out clothes to rotten food, the pile standing taller than a grown man. “We consume wasted food if it is good enough. We cook it, if needed. 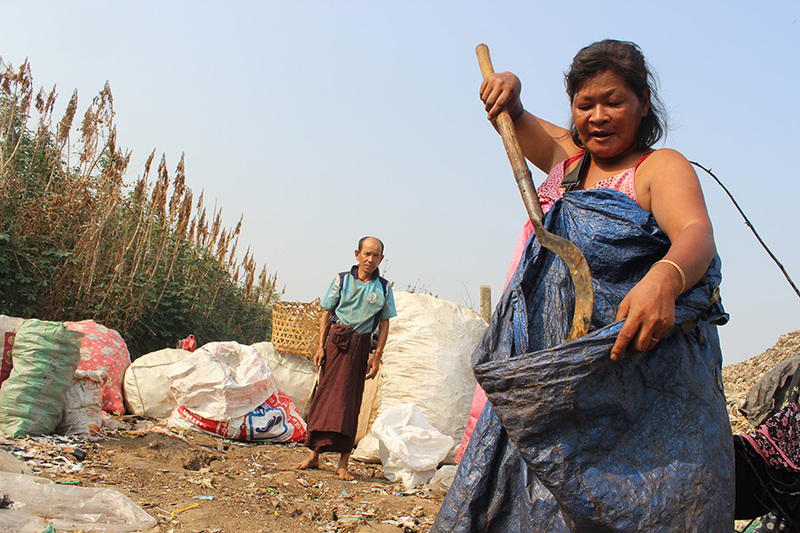 We make our living by collecting wasted and recyclable materials and selling them,” explained Ma San Aye, a 45 year-old Burmese woman originally from Kyaukki Township in Pegu Division who has made her home at the garbage dump for more than 15 years along with her children and grandchildren. “We can survive on 20 baht (US$0.58) a day here,” she said, sipping her tea as flies attempt to land on the cup’s rim. 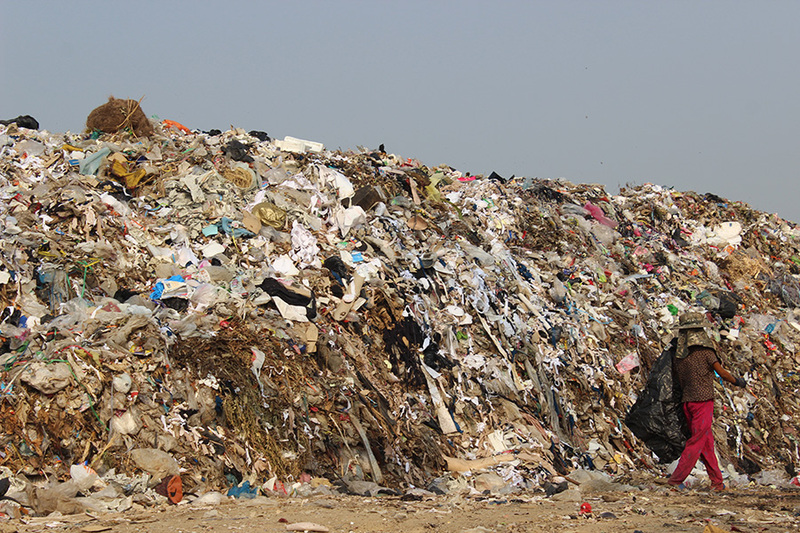 The garbage piles stand like a small hill in an area called Mae Pa—it is where all of the waste from Mae Sot town is thrown. “Of course it is bad for our health. Before, I had no diseases. Now, I have back pain and chest pain. It is smelly, but we have adapted to it. Before, I would vomit and I couldn’t eat for five days. But it is okay now,” said Ma San Aye said. She said she makes around 2,000 baht (US$58) a month selling materials she finds at the dump. Those who reside near the waste site live in makeshift tents, where they eat and sleep. Some sort through the trash during the daytime, and others do so at night. “We can’t survive if we are afraid of bad, dirty and smelly waste. It is like our kitchen—we eat here and live here,” said Ko Than Oo, 49, while collecting recyclable materials around the landfill. Sweat fell on his face and his clothes were soaked with perspiration. “I know the smell is not good for our health. I get severe headaches and dizziness. Sometimes, I have heavy coughing,” he said. 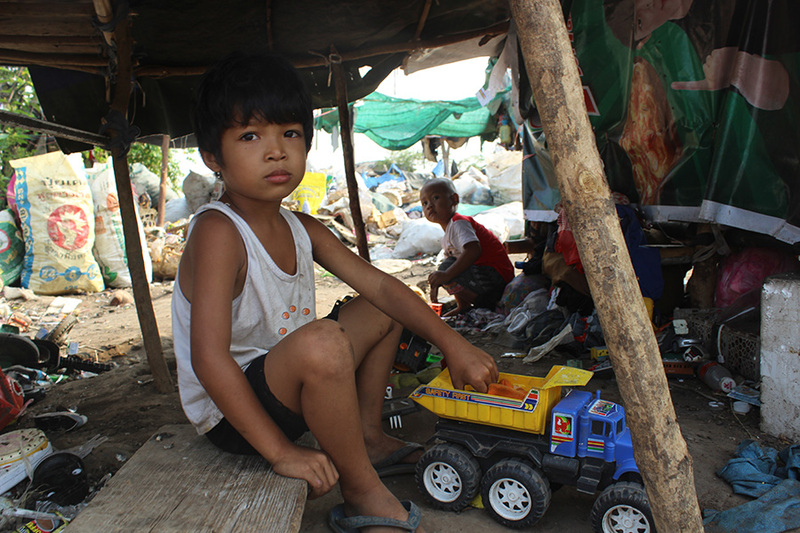 Ko Than Oo has lived near the garbage pile with his blind and aging mother for 12 years. Despite the reforms underway in Burma, he said he has no plan to go back to his homeland, as he does not have a job there. 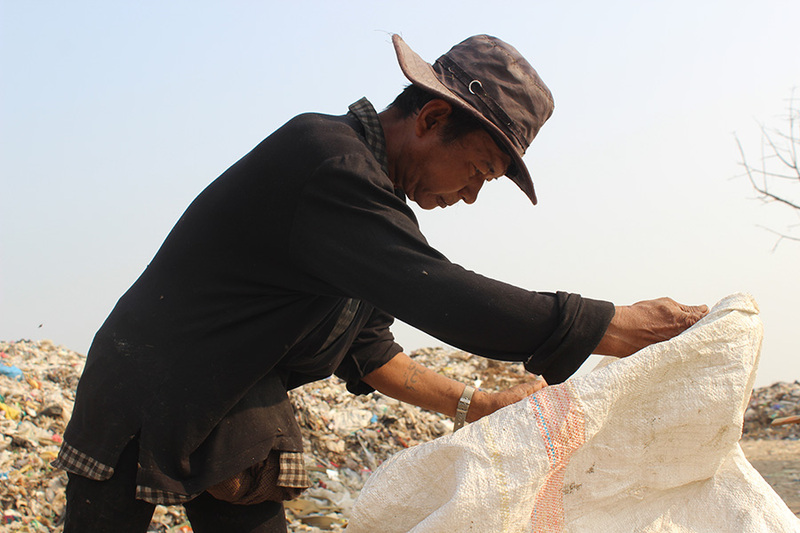 He makes about 150 baht (US$4.34) a day by collecting and selling recyclable materials. This, he said, is enough to feed himself and his mother. Several other people, including women and children, are also busy, collecting rubbish in the heat. There are more than 100 households living at the garbage pile, and, according to residents, some have been living here for up to 20 years. U Moe Joe, chairman of Joint Action Committee for Burma Affairs in Mae Sot, has been supporting Burmese workers in the area for 14 years. 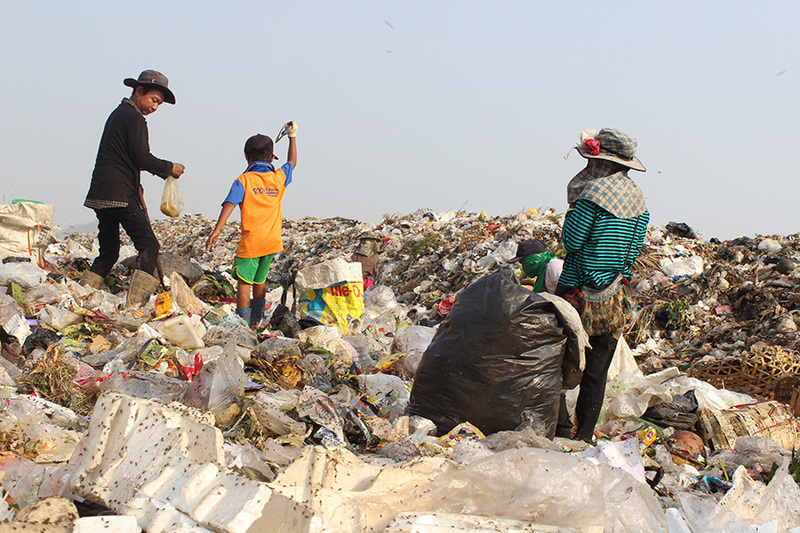 He told The Irrawaddy that there are 300 Burmese people currently living in and around Mae Sot’s landfill; they came to Thailand hoping to escape poverty and unemployment in their hometowns. “They depend on the garbage. They make their living by collecting waste,” he said. For Ma San Aye, her relationship with the waste site has become a way of life, and a resource on which she depends in order to make a living. “For us it is like a pile of gold and money. We rely on this garbage,” she says, smoking a cheroot in her tent while her grandchildren play nearby.